DONNA — Sheriff’s investigators are asking for the public’s help in locating a woman who allegedly abducted her six kids. Sheriff’s officials said Angela Mateos Ramirez failed to return her children to their current foster family after a scheduled visitation Saturday evening, according to the sheriff’s office Facebook page. Ramirez, 32, of Edinburg, was last seen driving a white four-door car, and could also possibly be driving a blue Pontiac Vibe with Texas plates BXK4632, officials said. 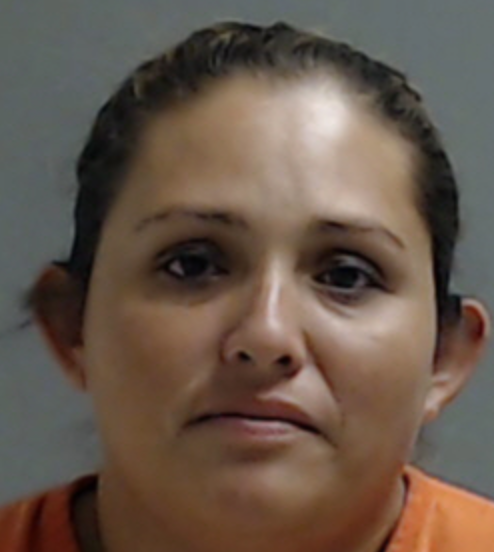 Ramirez, who was scheduled to drop off her kids at a Walmart in Donna as agreed to by the foster family, currently has a separate case pending in state district court related to a DUI arrest in May of last year, court records show. Her children range in age from as young as 3 years old, to 14 years old, officials said. No other information was provided and a call placed to sheriff’s officials went unreturned as of press time. Officials said if information provided through the crime stoppers program leads to an arrest or recovery of the children a reward of up to $1,000 may be claimed. Anyone with information regarding their whereabouts is asked to call Hidalgo Crime Stoppers at (956) 383-8114.